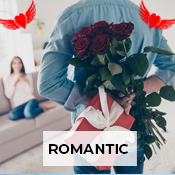 If you wish to send a beautiful floral arrangement to a loved one in Hong-Kong on his or her birthday or anniversary, ordering the day before is a sensible idea. This way, you can avoid a situation where you forget to place an order on the special day itself! Planning ahead is always better. And with us, getting hold of fresh and glorious next day flower delivery Hong-Kong is very easy. You can pick from a wide variety and we ship it for free as well. Wondering which kind of blooms to choose? Whether you are planning to send flowers for a birthday, anniversary or funeral, the right kind always makes an impression. Flower combos available with us can make for a very generous gift as well. Send beautiful roses to Hong-kong with a rich chocolate cake or a box of designer chocolates. Or you can choose a bouquet of mixed flowers with Black Forest cake. Flower combos with cute and cuddly teddy bear are also a great gift, especially on Valentine’s Day. To deliver flowers next day, online shopping is the best way. Just browse through our collection, place an order and your gift will be delivered to your loved one in Hong-kong the next day on time. What better way to show you care?